Munich - The 18.00 CET deadline has passed and the transfer window for the clubs of the Bundesliga and Bundsliga 2 has now slammed shut. Here's a recap of all the business done on a frantic final day in Germany. +++ 2 September, 18:00 +++ That's it for another few months! The Bundesliga transfer window is now shut, and that should see an end to trading until the winter. Clubs will have to make do with what they've got, and today Hertha Berlin and VfB Stuttgart have been busy, as have Hamburger SV. 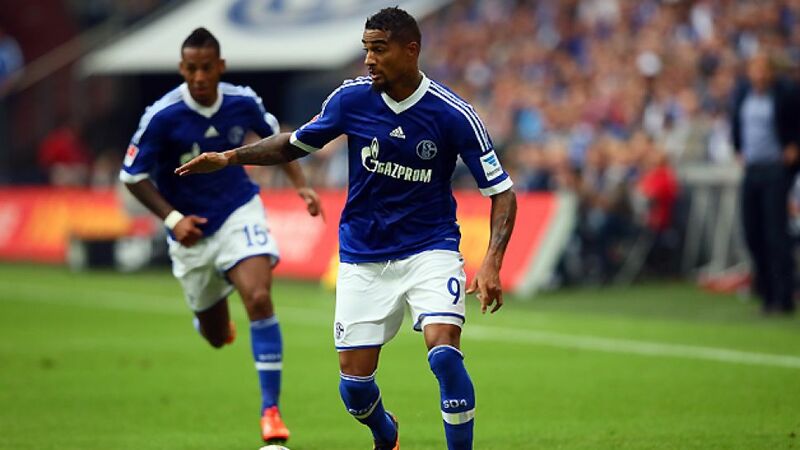 FC Augsburg have reinforced defensively, and Eintracht Frankfurt picked up on loan from FC Schalke 04. +++2 September, 17:30+++ That deal for Tolga Cigerci is a loan - he'll be a Hertha Berlin player until the end of the season. He will compete with fellow new signing for a midfield berth, the Norwegian arrives from Hamburger SV. however, has left the capital in the other direction, joining Hamburg on a season-long loan. +++2 September, 16:35+++ 21-year-old midfielder Tolga Cigerci has joined Hertha Berlin from VfL Wolfsburg. The club from the metropolis have been busy on deadline day, also loaning . +++ 2 September, 15:53: +++ News just coming in that VfB Stuttgart have signed Hannover 96's Tunisian centre-half Karim Haggui. Hannover Coach Mirko Slomka 'wished the best' to the 29-year-old who has spent the previous four seasons in Lower Saxony. Stuttgart become his third Bundesliga club. +++ 2 September, 14:55: +++Hamburg and Hertha have been co-operating rather nicely today, with Norwegian midfielder joining the capital city club from HSV on a season-long loan. +++ 2 September, 14:08: +++ was on the transfer list for a reason - he has just joined Eintracht Frankfurt on loan. "I'm really delighted that it has worked out and that I've got to know the city and the team," said the Swiss international. "First of all, I've got to play for the national team and I'll come back to Frankfurt in ten days with Pirmin Schwegler." +++ 2 September,14:00: +++ and have left SV Werder Bremen for SC Paderborn, the former on a permanent deal and the latter on loan. "Florian only had a year left on his contract, so a sale made sense, and we wish him all the best," said Bremen's sporting director Thomas Eichin. +++ 2 September, 13:38: +++ has made a move within the Bundesliga from Hertha Berlin to Hamburger SV on a season-long loan. "I'm delighted to be here and I can promise that I'll do all I can to play a super season with HSV," he said on the website of his new employers. +++ 2 September, 12:33: +++ The final transfer list of the summer has been published by the League Association, and only names which figure on there are now able to move. , Aristide Bance and are among those who figure. +++ 2 September, 12:06: +++ Australian midfielder is to gain match practice in Bundesliga 2 after moving from FSV Mainz 05 to FSV Frankfurt on a season-long loan deal. "We gain a lot of versatility in our attack with him," said Frankfurt's sporting director Uwe Stöver. +++ 2 September, 12:04: +++ A Finnish international is heading for Bundesliga 2 with Joel Pohjanpalo joining VfR Aalen on a loan deal from Bayer 04 Leverkusen, who themselves have acquired his services on loan from HJK Helsinki. "We're delighed with the faith Leverkusen are vesting in us by letting this young, talented player continue his development with us," said Aalen's sporting director Markus Schupp. +++ 2 September, 12:02: +++ Now it's official - is returning to 1. FC Köln from VfL Wolfsburg. "Cologne is Patrick's home, which is why he has chosen this transfer. We wish him all the best for his future," said the Wolves sporting director Klaus Allofs. +++ 2 September, 09:52: +++ The ink is drying on Makoto Hasebe's transfer from VfL Wolfsburg to 1. FC Nürnberg with the Bavarians confirming the move on Twitter: "Welcome to Nuremberg, Makoto!" +++ 2 September, 09:25: +++Marko Arnautovic has left SV Werder Bremen and joined English Premier League club Stoke City FC. "We wish Marko all the best!" declared Bremen in a Tweet. +++ 2 September, 08:34: +++ Patrick Helmes look set to drop down a division and join 1. FC Köln from VfL Wolfsburg. "We'll probably add another player to our ranks tomorrow," the club's sporting director Jörg Schmadtke told journalists after the Billy Goats' game on Sunday, before confirming that the player in question was Helmes, who played for the club between 2005 and 2008. +++ 1 September, 10:34 am: +++ Having already added Arkadiusz Milik to their ranks, FC Augsburg have completed the signing of Korean international Jeong-Jo Hong from Jeju United. +++ 1 September, 9:53 am:+++ Werder Bremen have bolstered their defence with the loan signing of 25-year-old Argentinian left-back Santiago Garcia from Chilean side Rangers de Talca.